Prior to firing up my first grill, I had little interest in cooking and eating—my diet consisted of mainly fast food, frozen pizzas, Hot Pockets, and TGIFridays appetizers. After lighting up that fateful first batch of coals though, I felt an immediate connection to my food I hadn't before. I attribute this to cooking at a fundamental level where I'm not only in control of my food, but also the heat source, which requires an extra level of attention and understanding. To me, this is what cooking needed to feel like for it to click, and because of this, I've pretty much shunned technology that aids in the process at all, save for a few digital thermometers that keep me clued into what's happening with my fire and meats. Of course, that's just a personal preference, and once I entered the barbecue competition circuits, most all teams around me used some sort of digital device to maintain proper temperatures in their pits. The BBQ Guru—a small computer that monitors the fire's temperature and adjusts it using a fan—seemed to be the most popular choice in this arena. 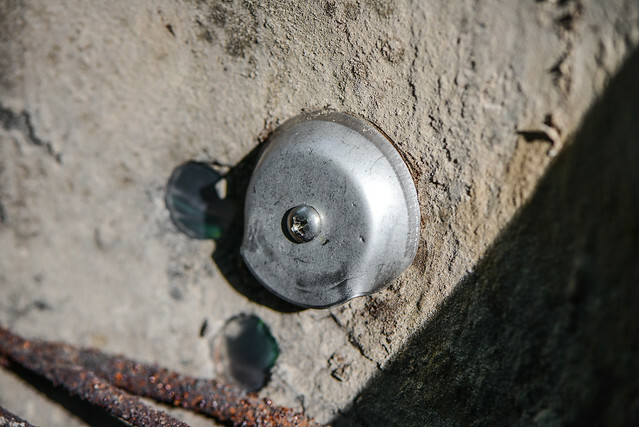 While I watched many teams use this device to set-it-and-forget-it, I always kept an eagle eye on my smoker and felt as if I had a connection to what I was cooking that others were missing out on. With that hard headiness also came sleepless nights, increased anxiety, and additional work. 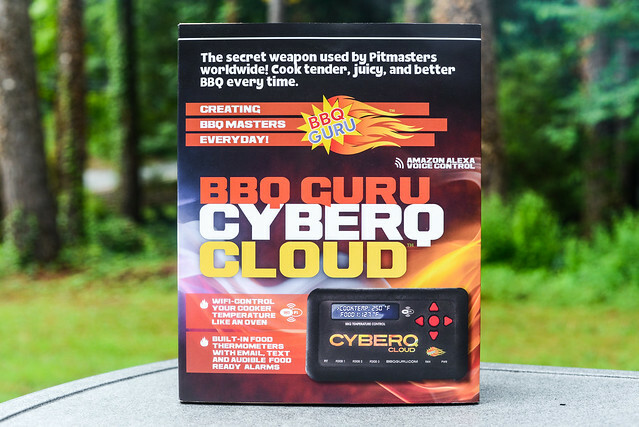 So after grilling and smoking now for thirteen years without extra assistance, I decided it was time to see what all the fuss was about and took up an offer to try out and review the BBQ Guru's CyberQ. When I first opened the box and saw a bunch of different components, I felt like it was a bit much to accomplish a task I take pride in doing well without any aid. After the initial inspection of the contents, I put it back and let it sit for over a month before actually taking a crack at getting it up an running. It ended up looking like more work than it really was—it was actually pretty quick to get it set up. 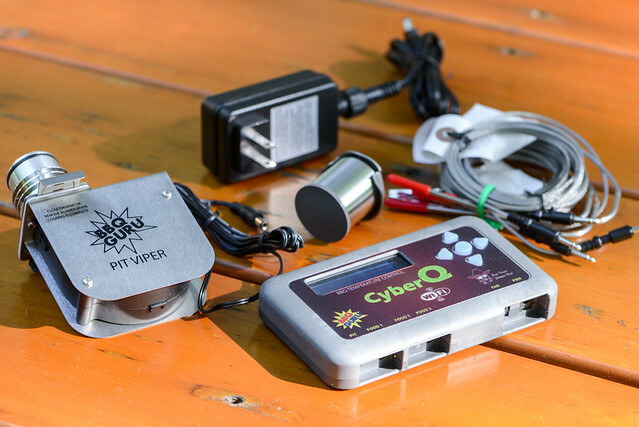 What was inside the box boiled down to the actual CyberQ with power cord, fan, fan to grill coupler, and four probes—three for food and one for the pit. 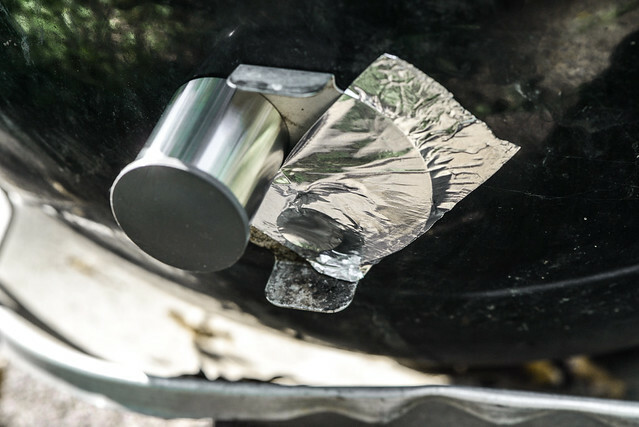 Attaching it to a Weber Smoky Mountain was simple, just screw the coupler to one of the bottom air vent holes, ensuring the notch for air entering the cookers was facing down. Then on the outside, I used the provided high temperature tape to block off the other two open vent holes so the only air entering the chamber would be from the fan. The only tricky part of setting it up was connecting the device to my network. It wasn't anything more than finding my network name and entering the password like with any device, but the limited display required me to actually read directions to navigate to the correct menus to complete this task (I'm not a big directions reader, so to me, this was considered additional effort). 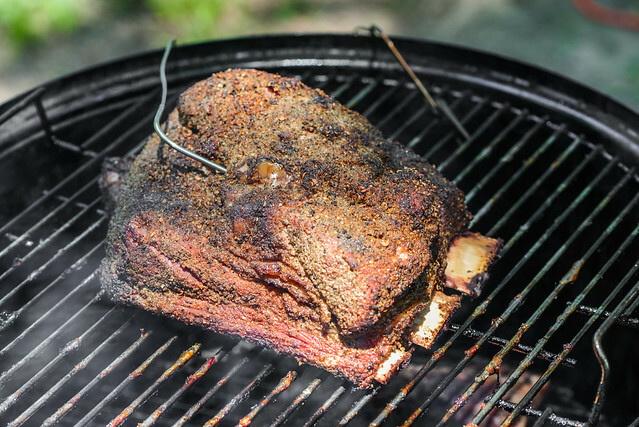 Once I had the device set up—the entire process probably took all of 15 minutes—I went ahead firing up the smoker as I normally would. 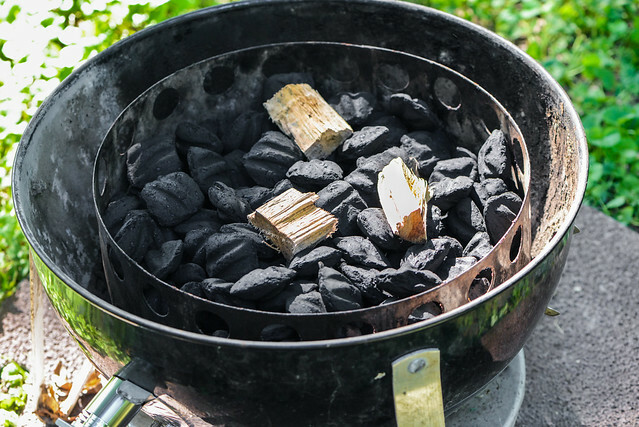 The device came with the advice that it actually works best with lump charcoal because lump produces less ash and responds better to changes in air flow. I had totally forgotten this instruction was given to me when I was ready to smoke, so went forth using my usual Kinsford that I always have on hand, although opting for the Professional Briquettes, which produce slightly less ash than the standard blue bag. I used the minion method to get the fire started—pouring a layer of lit coals over unlit ones, and then start smoking. To measure the temperature inside the pit, I clamped the provided alligator clip probe to the top cooking rack, having the probe's wire run out of the top lid. 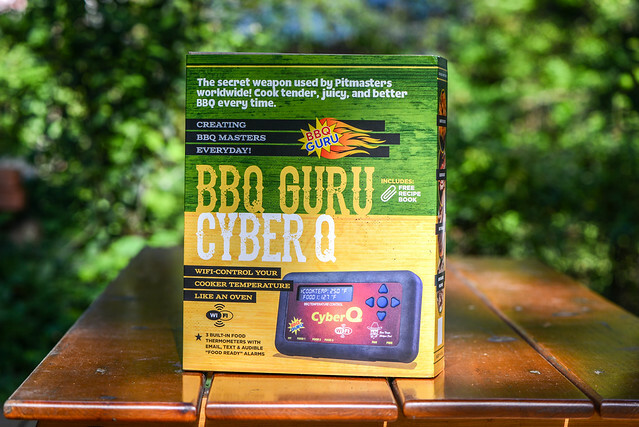 The real attraction that pushed me over the edge to try out the BBQ Guru was the CyberQ's ability to be used via my computer or phone. You access the interface by using the device's IP address, and the interface made it super simple to monitor and set temperatures—I never actually touched the CyberQ itself once it was going. 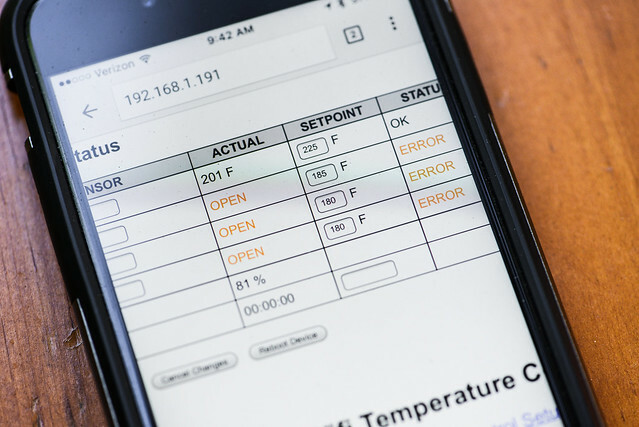 Beyond the main temperature control in the user interface, you can also fine tune settings for the device and even set it up to send you email alerts for events such as extreme temperature fluctuations inside the pit or when your meat has reached its desired temperature. I attempted to get this working with my gmail, but after a few unsuccessful tries, gave up because it wasn't immediately important to me that day. Beside that, my only qualm was the UI not being responsive, requiring some pinch-and-zoom action when using on my phone, which I did frequently. 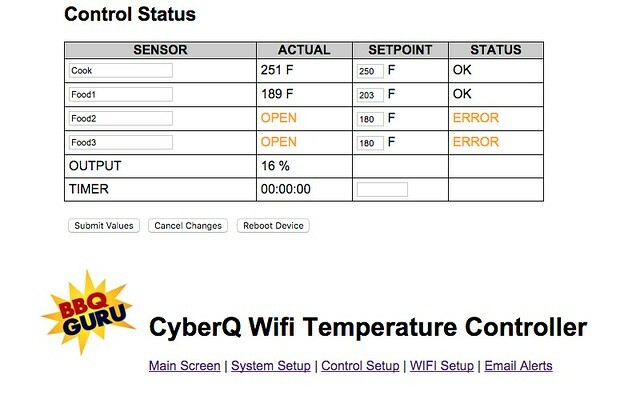 After getting the fire going, I found the CyberQ way more adept at controlling my pit's temperature than I have ever been. Usually when implementing the Minion method, it takes a good 30-60 minutes until the smoker reaches 225°F, but the CyberQ's fan cut that time down dramatically to only 10-15 minutes. Likewise, after doing a changeout of meats from wings to short ribs, having the lid off for a while let a lot of air into the smoker, raising the temperature to above 300°F when I was finally done. 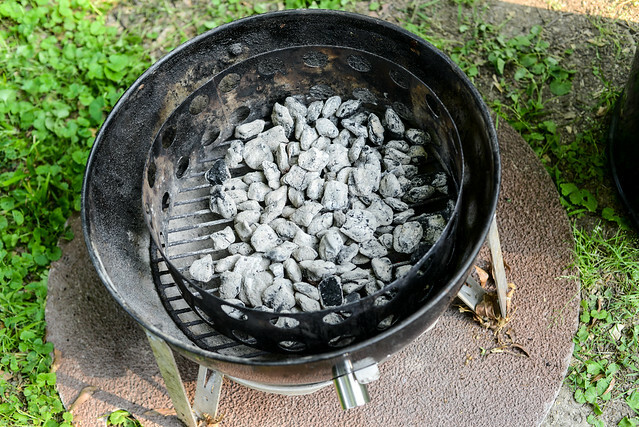 After placing the lid back on, the absence of any airflow had the temperature comfortably back below 250°F in about 20 minutes, and the CyberQ kicked the fan on at just the right time to ensure the coals stayed lit and didn't extinguish. 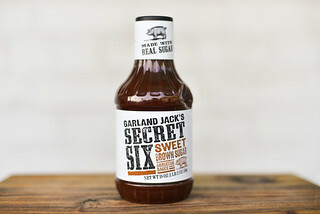 Really, the best thing was always knowing what was happening with my food and fire without having to either sit next to the smoker or make frequent trips outside. I've been behind on my blogging, so I spent the day tied to my computer editing photos and writing, always having the CyberQ tab open where I could quickly see how everything was going. This allowed me to make decisions and changes to cooking without ever being pulled away from the other tasks I needed to complete that day. At one point, it was only a few hours until my guests were going to arrive and my short ribs were not where they needed to be to have them done on time. So I simply inputted a change to the pit's temp from 225°F to 250°F, watched that boost take full effect in around 10 minutes, and then see the meat's temperature rise faster, finally hitting my desired 203°F mark just when I needed it to. 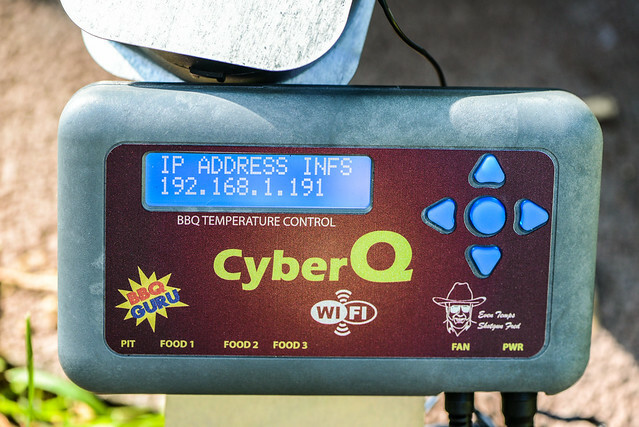 So it's suffice to say I was pretty impressed with the BBQ Guru's CyberQ. The hits kept on coming though when I went to close down shop at the end of the day. After 9 hours of solid cooking, there was still a decent amount of lit coals in the pit. My guess is I could have gotten at least another 2-3 hours of cook time out these. while without the CyberQ, I would generally have had to refuel sooner during a long cook. So the machine bested me—it maintained and changed temperatures in the pit better than I could do, with more ease and efficiency. And in the end, I didn't feel the least bit dejected by this, even being a guy who takes great pride and gets value out of being in full control of both fire and food. 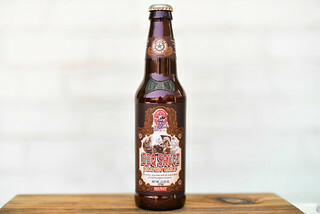 I feel like, by this point, I've proven to myself I can do it, and there will be times when I don't want or need to rely on the helping hand of the BBQ Guru, but hell, I'm getting older, getting busier, and value my time differently, so when the CyberQ helps me create great barbecue while managing my lifestyle and priorities to my ideals, I'll take it! 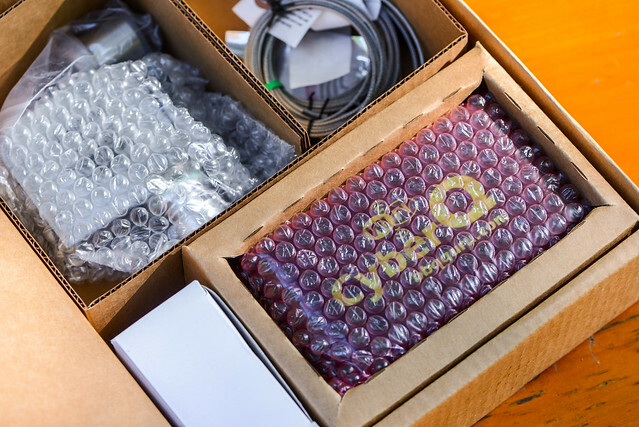 If you've made it this far, you're probably already eyeing a CyberQ for yourself. Good news here, The BBQ Guru is giving one away for free to Meatwave readers. Enter by June 15th for a chance to win. Good luck! Any chance I can enter your contest Josh? I'm in Ontario, Canada. Thx! After obtaining the fireplace going, I found the CyberQ a lot more successful than I have previously been at preventing the heat of my abyss. 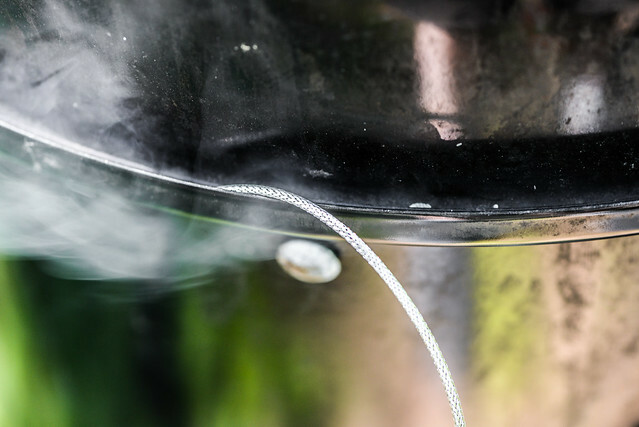 Often when implementing the Minion process, it takes an excellent 30-60 minutes until 225�F is reached by the smoker, nevertheless that point cut on along dramatically. Also, after doing a changeout of foods from wings to small ribs, obtaining the motorcycle down for some time let a lot of air in to the smoker,I read it here Link once I was ultimately accomplished rearing the heat to above 300�F,. The absence of any airflow had the heat perfectly back below 250�F in about 20 units after positioning the top back on, and also the CyberQ quit the supporter on just the proper time to guarantee the coals kept lit and did not extinguish.